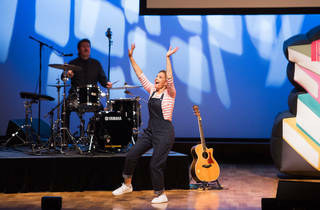 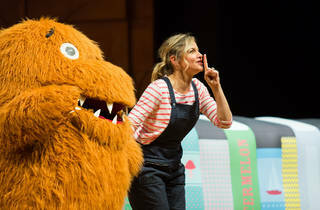 Justine Clarke and a bevvy of cheeky monsters will take to the stage of the Playhouse for this brand new theatrical show. 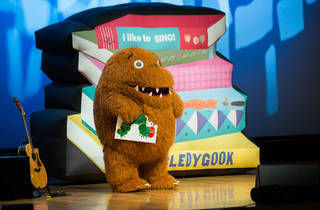 It's based on Clarke's best-selling children's book The Gobbledygook Is Eating a Book, written with Arthur Baysting and illustrated by Tom Jellett. 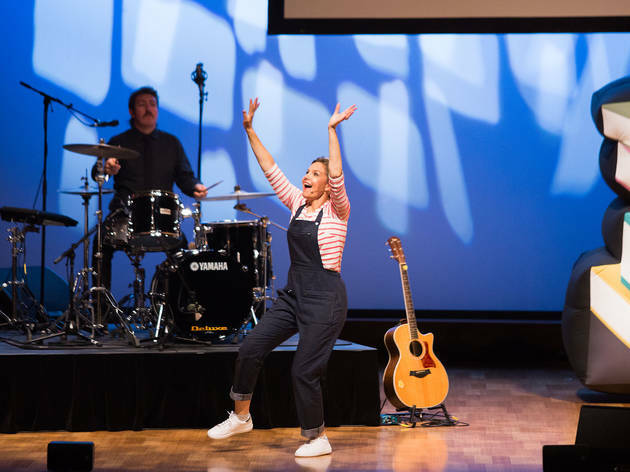 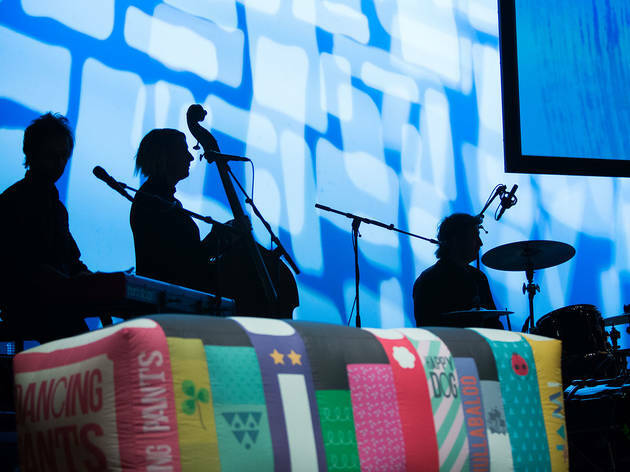 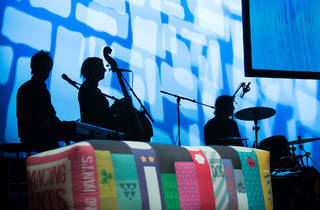 Joined by a full live band, the ABC Play School presenter sets out on an immersive journey of colour, storytelling and dance. 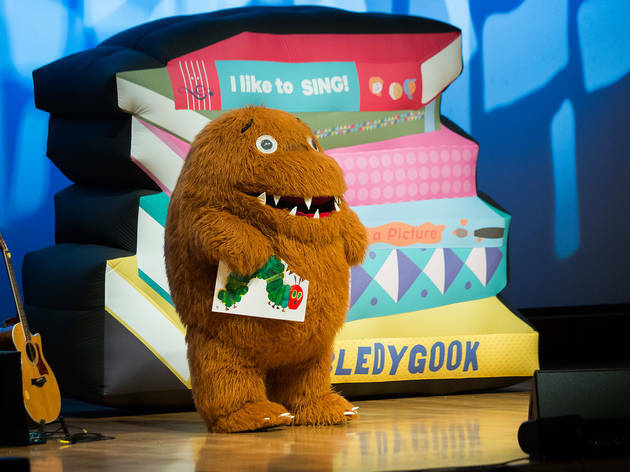 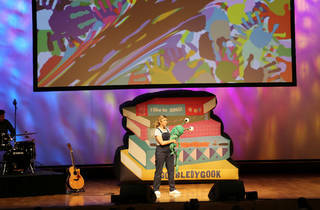 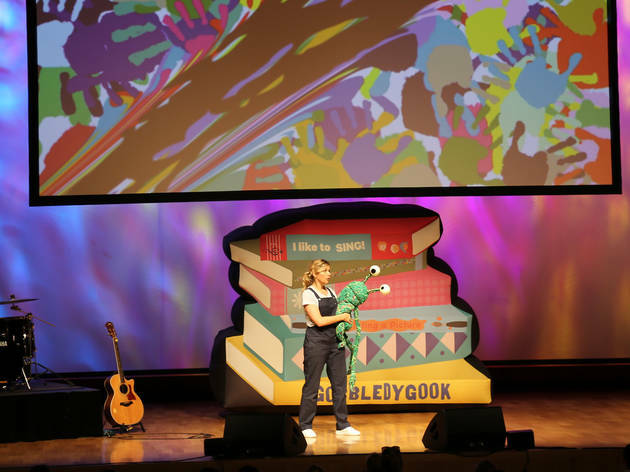 Her friendly monster pals Scribbledynoodle and Gobbledygook will help Justine Clarke climb rainbows, make new friends, meet dinosaurs and plenty more imagination-fuelling escapades. 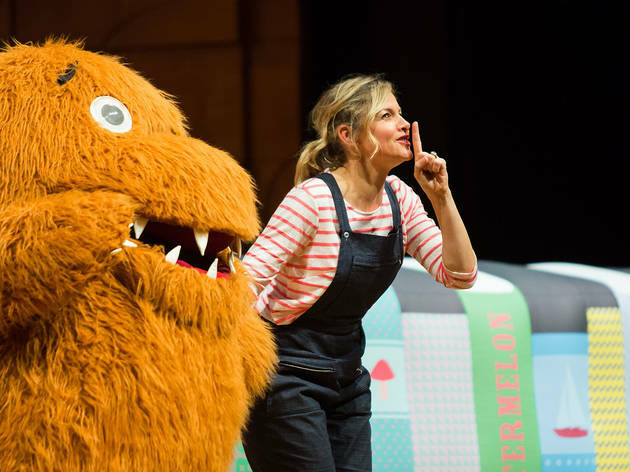 Get ready to sing along to kid's favourites like 'Great Big World', 'Watermelon' and 'I Like to Sing'. 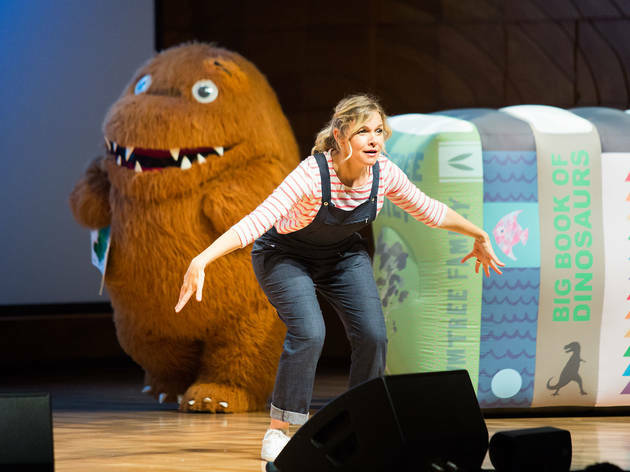 This Australian-made show is aimed at kids aged two and up.